A wide range of scaffolding castors to suit standard scaffold tube. Scaffold castor wheels are available with a 2 different fittings, the expander option is available in a 125mm wheel in either nylon or polyurethane and is perfect for lighter duty indoor mobile scaffold applications. If you need something more substantial a solid stem plug fitting is available. 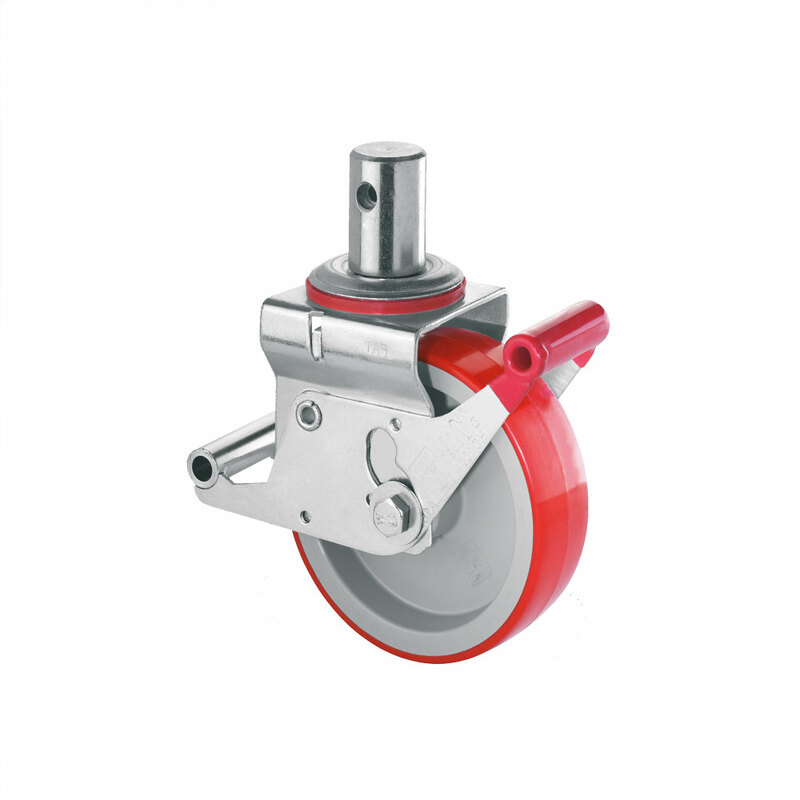 The solid stem scaffolding caster is available with a 125mm, 150mm and 200mm wheel again in either nylon or a polyurethane wheel. The scaffold castors with a solid stem come with a double brake pedal for extra safety and ease of use. With load capacities up to 700kg making they are ideal for even the largest scaffold applications whether it be inside or out. Browse our range of Scaffold Castors, choose from either an expander fitting scaffolding castor to suit your scaffold tube or a heavier duty solid stem plug scaffold castor. We supply scaffold tower castors to suit standard scaffold tube internal diameter 38mm (11/2" ) and 46mm to 50mm. If you cant find what you need, give our sales team a call as we can offer suitable alternatives.